Don’t you think it’s strange how when you’re a rush, time flies by. When you only have ten minutes to get somewhere, every single one of those ten minutes fly by. You look up from your phone, and when you look back again, you’ve only a minute left to get to where you need to be. But, when you’re sat in a lecture, or at work, you look away from the clock and, after what feels like at least ten minutes, it’s actually been two. How does that work out!? It plays tricks on you, and sneaks up on you when you’re not expecting it. 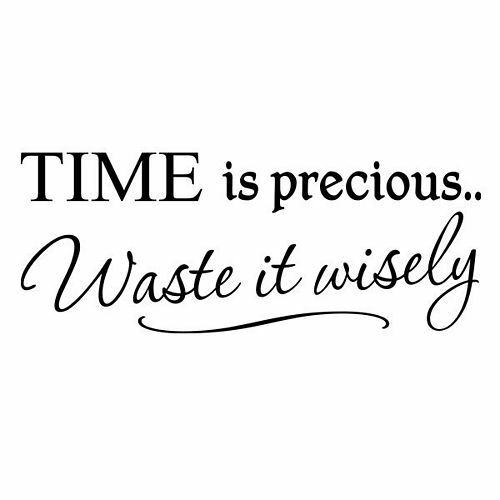 As cliché as it sounds, time is precious. Whether you notice it or not, time does actually fly by. And even though it may be going slowly at the time, soon (usually when you’ve got a little older) you realised you’re a year or so down the line. We are all on a time frame, and I think it’s important to take note of this. Obviously we all know we’re going to die, and we’ve become numb, I think, to the fact. With all the quotes, mottos and sayings that we’ve become accustomed to seeing on Facebook and Tumblr, things like YOLO, Marilyn Monroe quotes and other ‘live you life’ type sayings, it seems like we’re pretty kinda, a bit blasé of it all. The reality is, it is quite a bit deal. And no, we shouldn’t live every day like it’s our last. Because how the hell do we know what that day would be like? I know for me, it would be full of tears and goodbyes. I won’t live my life that way. I want to have fun each day, and have achievements, and be happy. Try and do the same- get more out of your day… and your life! ← Has the internet killed romance?